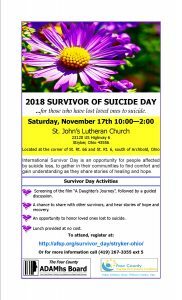 The second annual “Survivor of Suicide Day” will be held on Saturday November 17, 2018 from 10:00am to 2:00 pm. 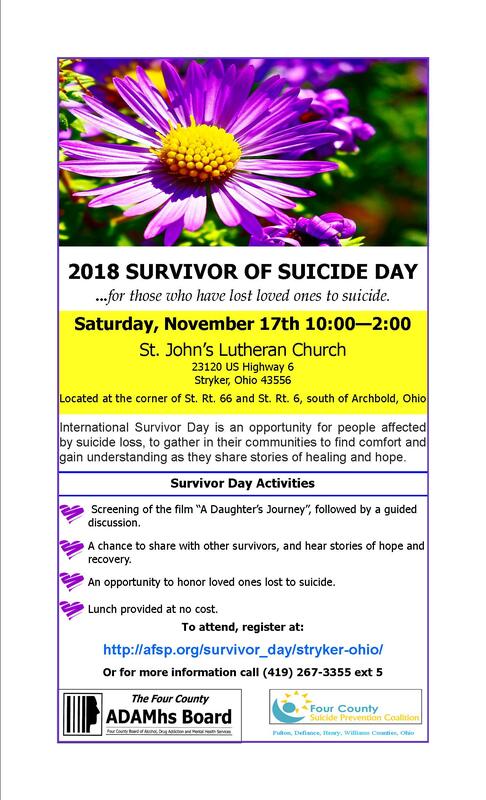 The event will be held at St. John’s Lutheran Church, just south of Archbold, Ohio. 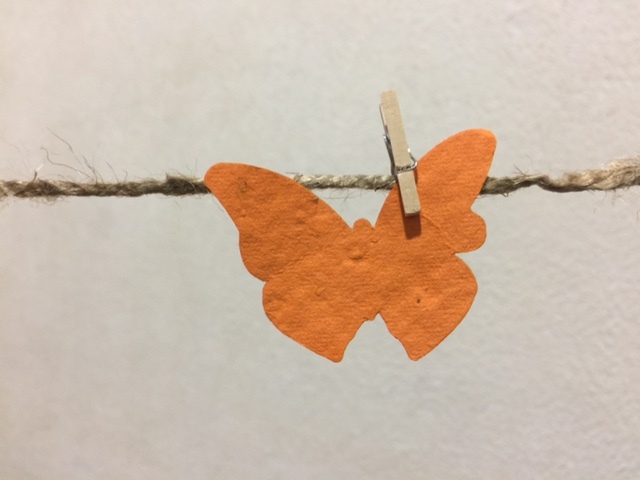 Survivor Day is the one day a year when people affected by suicide loss gather around the world at events in their local communities, to find comfort and gain understanding as they share stories of healing and hope. In 2017, there were more than 350 Survivor Day events in 18 countries. Please join us, as this is the only event taking place in our four county area. Last year’s event was a wonderful success, with more than 35 local survivors of suicide gathering together to honor their loved ones, and to speak out against the stigma of depression and suicide loss. This special day, is being co-sponsored by the Four County ADAMhs Board and the Four County Suicide Prevention Coalition. 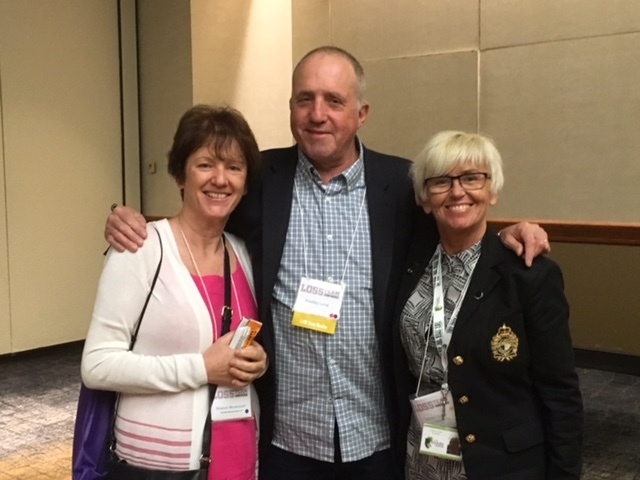 Three local guest speakers who will share their experience of suicide loss and recovery. A screening of the AFSP movie “A Daughter’s Journey“, followed by a guided discussion. The opportunity to connect with other survivors and hear stories of healing and hope. A closing ceremony to honor loved ones lost to suicide. Lunch will also be provided at no cost. Since 1999 suicide deaths in the state of Ohio have risen by 36 percent. Locally the four county area has experienced an increase in the number of deaths, with 26 of our community members dying by suicide in 2017. Mirroring the data at the national and state level, Defiance, Fulton, Henry and Williams counties continue to lose middle aged men between the ages of 35 and 64 years old. What’s striking about this fact is that while this age group makes up roughly 19 percent of the general population, they represent nearly 45 percent of all suicides. Clearly middle aged males are over represented among those who die by suicide. The question is, why? There are many factors that can contribute to suicide among middle aged males. 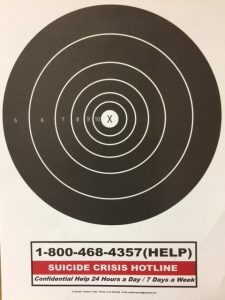 Untreated depression, the disruption of an intimate relationship, a significant health diagnosis, the loss of a job and access to firearms can all be precipitating factors. Among these factors, one of the most potent is access to firearms. 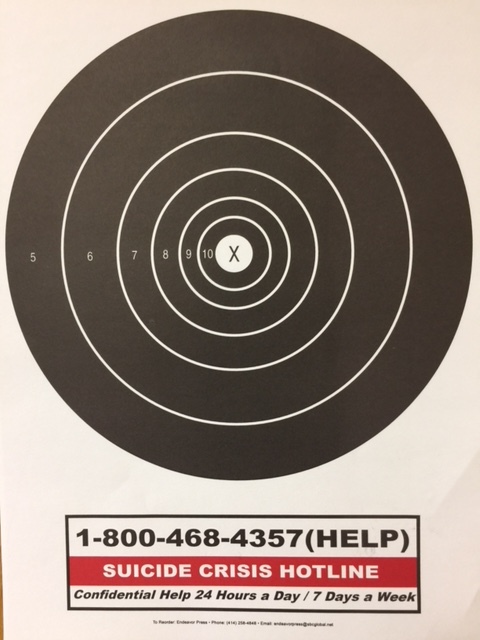 According to 2016 data from the Center for Disease Control, 53 percent of all U.S. suicide deaths are the result of a gun, with use of a firearm being the preferred method for males across all ages. It has been widely reported that women attempt suicide more often than men, but because males often choose firearms as the means, the result is more deadly. On Monday February 12, 2018, the Four County LOSS team held their monthly meeting. 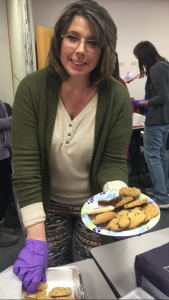 Unlike typical gatherings, February’s meeting had a sweet surprise! The twenty LOSS team members in attendance spent part of their time packaging more than sixty-dozen home baked cookies. The cookies will be distributed to all county and municipal law enforcements departments in Defiance, Fulton, Henry and Williams counties. According to LOSS Team Coordinator, Tonie Long “The cookies are our way of thanking law enforcement for activating the Four County LOSS Team as part of the first response to suicide deaths in our communities. Without their support, we would not be able to reach those newly bereaved by suicide. 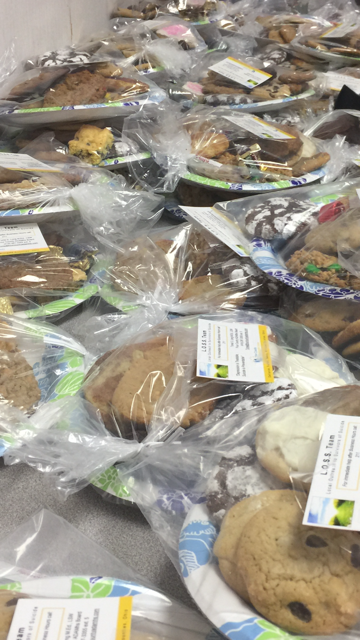 Law enforcement’s willingness to partner with the LOSS Team, allows our members to provide the necessary care and support to families during a time of personal tragedy.” All sixty dozen cookies, along with informational materials the LOSS Team and suicide prevention, are set to be delivered between February 13th through February 16th 2018.
International Survivor Day is the one day a year when people affected by suicide loss gather around the world at events in their local communities to find comfort and gain understanding as they share stories of healing and hope. In 2016, there were over 350 Survivor Day events in 18 countries. We were very happy to offer the first annual local International Survivor Day event here in the four county area. 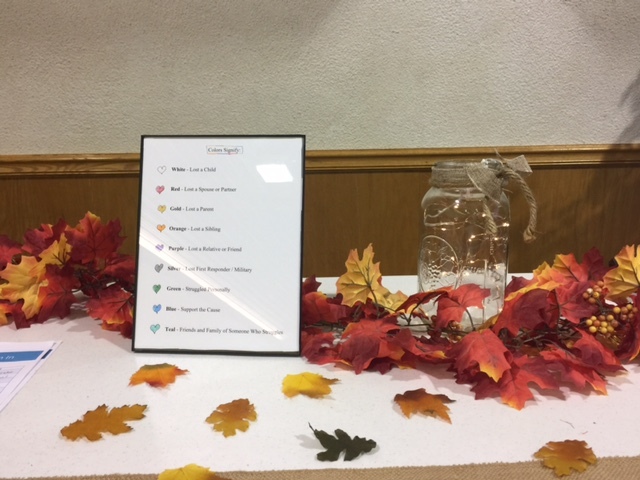 On Saturday November 18, 2017 thirty-five area survivors of suicide loss gathered at St. John’s Lutheran Church, just south of Archbold, Ohio. The event included a screening of The Journey: A Story of Healing and Hope, as well as The Journey Revisited, in which six of the original Journey participants gather three years later to reflect on how their grief and healing journey is evolving. In addition to viewing the films, local survivors Teresa May and Sandra Manon shared their stories of loss and healing. Participants also had the chance to connect with other survivors during guided discussion groups, as well as an opportunity to honor those lost to suicide. 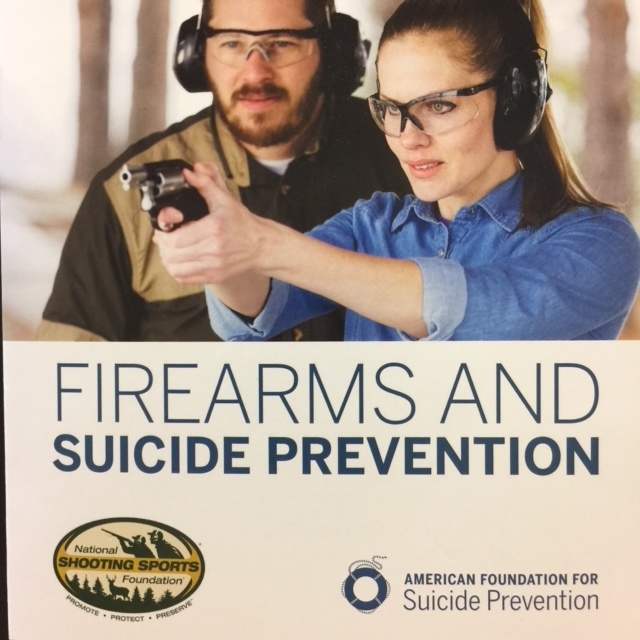 Lunch was provided free of charge, with sponsorship of this first annual event provided by the Four County ADAMhs Board and the Four County Suicide Prevention Coalition. 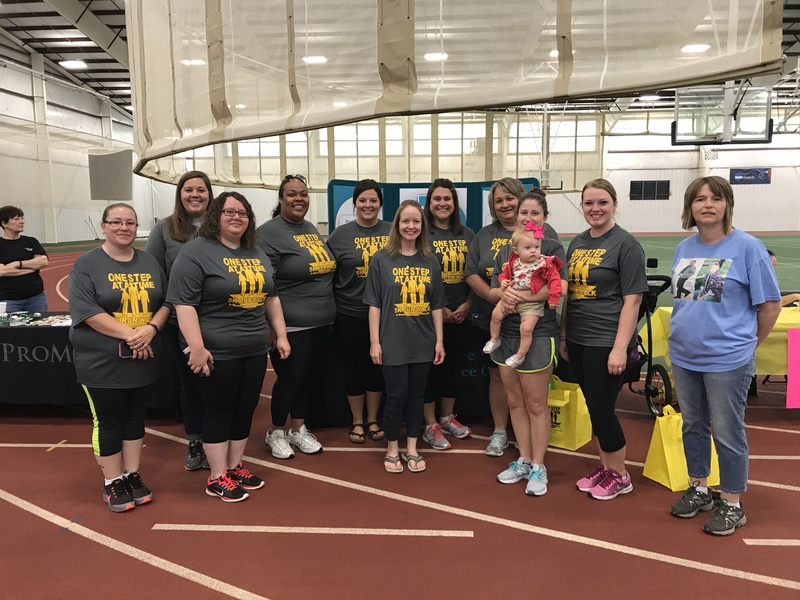 On Saturday September 23, 2017, more that 400 are community members participated in the annual One Step at a Time 5K Run-Walk. The event, which began in memory of Scott Hammersmith, who was lost to suicide in 2006, was held again at the Defiance College athletic center. The weather was a perfect fall day, which encouraged strong attendance for the race. Activities included a hula hoop contest for the kids, music, as well as area providers who shared information on local mental health resources and suicide prevention services. 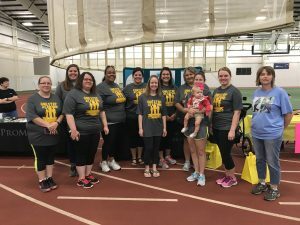 The athletic could choose to either run or walk the 5K course, along with a Memory Mile which provided survivors the opportunity to honor the lives of their loved ones lost to suicide. 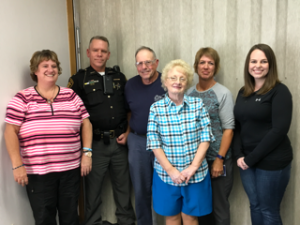 Money raised through the annual 5K is used to support suicide prevention and awareness throughout Defiance County, Ohio. 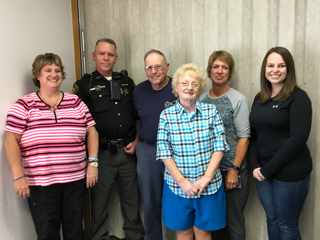 Five new LOSS Team volunteers were trained on Friday, August 25, 2017, and will be part of the Four County suicide response efforts. The new volunteers include Joyce Klear of Bryan, Richard Sheets of Defiance, Kathro Yoder of Defiance, Jan Lindsay of Archbold, and Karen VonDeylen of Malinta (pictured below). Tonie Long of the Four County ADAMhs Board, trained the volunteers on the impact of suicide on families and communities, the history of the LOSS Team, and the Four County LOSS Team response protocol. The day-long training included information on crime scene etiquette, which was provided by Sergeant Bryan Coger of the Fulton County Sheriff’s Department. In place of the July 2017 LOSS Team meeting, LOSS Volunteers gathered for an opportunity to be recognized for their service to Defiance, Fulton, Henry and Williams counties. 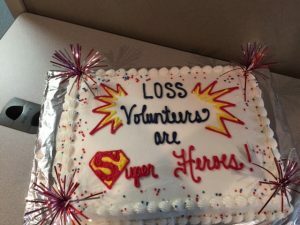 LOSS volunteers are unique in their commitment to being an “Installation of Hope” in order to help those newly bereaved by suicide begin the journey toward recovery. Les. 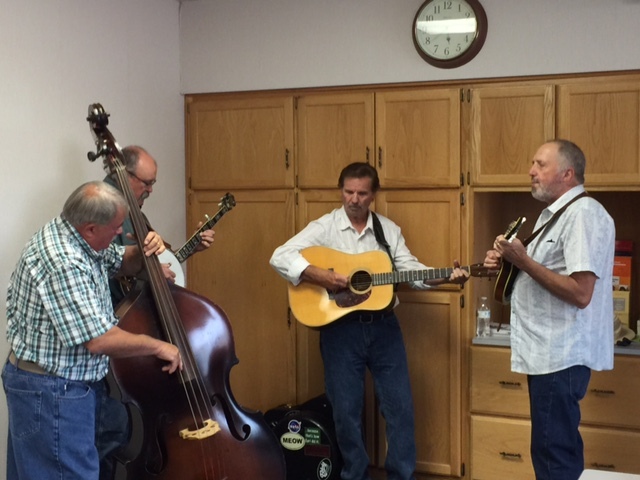 McCaslin, ADAMhs Board CEO, said “The work being done by the Four County LOSS Team is having a very positive impact on families in our communities.” Those in attendance enjoyed delicious food, warm fellowship, and wonderful music provided by The Bridge County Bluegrass Band. Regular monthly team meetings will resume in August, 2017. The National LOSS Conference will return to Phoenix in October, 2018.